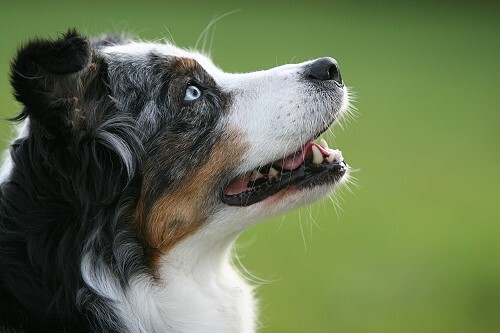 We are happy to invite you to read more about us and our fourleged friends, our aussies. Please take a little bit time and enjoy some photos and stories about our dogs. Important notes will look like this. How did an intelligent an humorous people said? Living without dogs is possible but is not worth while. I have to excuse myself, because you are at a homepage, which isn't ready at all! The reason is, that I do all the work on my own and we are moving in these days. So I hope, you will come back from time to time and see, what is new! Also my english isn't the very best :-). So if you will laugh about it, - please do so, - I have no problem with that. The reason for this site is to show you my dogs and to try to explain a little bit, what I try to bred. You will find a little more information at our old site: Stormbringeraussies. Everything new you can find under "NEWS" at this site. Since now we lived in the middle of germany in Gelsenkirchen-Buer. In 2009 we will live in Haltern am See, a little town with a little lake and lots of forests around. A nice place to live with dogs! We do a little bit obedience (german rules and ASCA rules), agility and discdog with our aussies. Also we love long walkes in the nature, - just for fun. Our dogs love clicker-training and our training methodes are mostly the positive strengthening. That means, for good work our dogs will get a good play, cookie or prais. 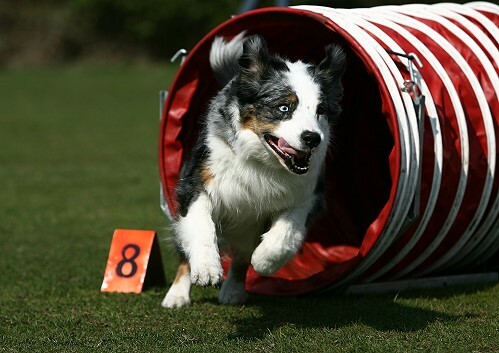 We do dogsport for our aussies, we do not have our aussies for dogsports. So we do everything with fun and without any stress. We like to have fun with our dogs. As we are totally inspired from these dogs, we try to do a little bit for the maintenance of this wonderful breed. 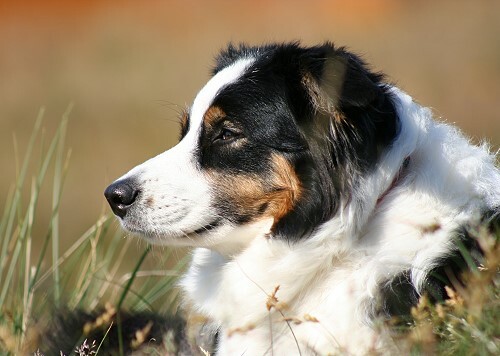 We love the high intelligence, the will to please, the reservation with strangers, the herding instinct, the lionheart in every real aussie and the friendly charakter in their families. We love the versatile aussie, our goal is best explained with the word "moderate". Moderate size, moderate bones, moderate coat. We try to bred the well balanced dog, moving free and groundcovering. Nothing is so nice to see than a healthy and agile dog, moving like flying over the ground. So we raise a litter of those wonderful dogs from time to time. We do everything to make them best socialized with people and animals. Every little puppy is born in our hands and will stay in our livingroom, 24 hours a day with us, until it will be old enough to go out into the world (of course with playtimes outside!). We hope to hold contact to every new owner a dog live long. We are very interested in our offspring and so you will find ANY of our little "storms" on our webpage. Our kennel is a hobby kennel, we are very idealism and enthusiastic. We have done our homework in genetics and have spend lots of hours with pedigrees and lines and health issues. We know, that breeding aussies isn't an easy game and but we do our best. You can see healthresults in the informations of every aussie. If you are interested in one of our puppies, please feel free to contact us and ask what you want to know. We will try to give you the answeres. We also have questions to the puppy buyers and normally have a little waiting list. On the next sites you will find out a little bit more about our dogs. Enjoy! We would be happy to read something from you in our guestbook, - we are very interested in your opinion about our side and specially if you can understand everything :-).